China's State Council has given approval for Hangzhou, an e-commerce hub, to set up the country's first cross-border e-commerce pilot zone, according to a statement released on Thursday. Hangzhou, capital city of East ­China's Zhejiang Province, is one of seven cross-border e-commerce pilot cities approved by the General ­Administration of Customs, but the China (Hangzhou) cross-border e-commerce pilot zone is the only national-level one. The pilot zone will lead efforts to set standards for procedures and supervision of e-commerce transactions, payments, logistics, customs clearance, tax refunds and exchange settlement, the statement said. Through innovation and reform, the pilot zone will work on solving problems in cross-border e-commerce and will help build a comprehensive industry chain, the statement said, noting the experience will be useful for cross-border e-commerce all over the country. "Zhejiang Province is a hub for product manufacturing and distribution, so it is not a surprise that Hangzhou has got the approval," Wang Xiaoxing, an analyst at IT consultancy Analysys International, told the Global Times Thursday. "Considering weak foreign trade growth recently, setting up the pilot zone is a new way to boost imports and exports," Wang said. Moreover, Hangzhou's largest advantage lies in its prosperous e-commerce industry, especially Hangzhou-headquartered e-commerce giant Alibaba Group Holding, Lu Zhenwang, founder of Shanghai Wanqing Commerce Consulting, told the Global Times Thursday. In 2014, online sales revenue in Zhejiang reached 564.2 billion yuan ($90.1 billion), up 47.6 percent year-on-year, according to data from the provincial commerce authority. With a series of preferential policies expected to be offered for the pilot zone, it will be easier and also cheaper for Chinese customers to purchase overseas products through e-commerce platform tmall.com, Alibaba said in a statement sent to the Global Times via e-mail Thursday. The Hangzhou pilot zone should make innovations in terms of standards, supervision and information systems for cross-border e-commerce, the State Council statement said. Chinese customers have a huge appetite for overseas goods and an effective and qualified e-commerce platform can help curb the problem of counterfeit products, according to Wang. Huang Xianhai, a professor at the College of Economics with Zhejiang University, said Hangzhou is trying to adjust taxes on products sold online in order to reduce transaction costs, the Economic Observer newspaper reported on January 24. 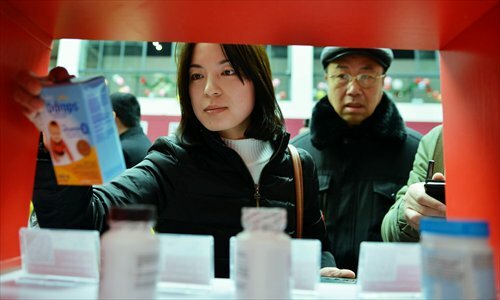 When purchasing imported cosmetics and wine, Chinese customers have to pay taxes amounting to 50 percent, a policy that was set about 20 years ago when these products were regarded as luxury goods, Alibaba's statement said. However, the high tax rate is no longer appropriate as these are considered just daily goods now, it said. But tax reform is conducted by the national tax administration rather than local governments, so it may take some time before there is a final decision, Wang said. Lu noted that Hangzhou may learn from and cooperate with the China (Shanghai) Pilot Free Trade Zone (FTZ) since Hangzhou has no port. The Shanghai FTZ implements a "negative list" policy, which allows unrestricted investment by overseas firms in all areas not on the list. Alibaba said it expects Hangzhou's pilot zone to adopt a similar approach toward goods' quality requirements, with all goods not on the negative list being allowed to be imported. Overseas quality standards are generally similar to China's standards, so if this negative list approach is carried out, Chinese customers will have a wider range of imported products to choose from, the company said in its statement. Hangzhou announced its application to establish the pilot zone in November 2014, which has attracted numerous companies to the city. In addition to Alibaba, other e-commerce companies and logistics firms, such as online retailer JD.com Inc and Shenzhen-based logistics company SF Express, have also set up offices in the city, Hangzhou-based newspaper Today Morning Express reported on February 10.